Supercon has superior in-house capabilities and an unmatched flexibility when it comes to insulation. We offer several film and braided insulation types. Supercon typically uses Formvar to insulate superconducting wire. Formvar is applied as a tough, abrasion resistant continuous film which is capable of withstanding severe winding operations. Formvar can easily be softened with a variety of solvents for removal to allow joints and connections. Other common insulation materials, such as polyimide and polyester-polyimide enamels, as well as, Kapton tape are also available upon request. Some important characteristics of these insulations are summarized in the table below. The insulations listed here are the more popular choices, however, please contact your Supercon Sales Engineer with inquiries on other types of insulation. FORMVAR (polyvinyl- enamel) Continuous formal film .012 -.025mm as specified 80 kV/mm Good flexibility and adhesion. Extremely tough and abrasion resistant. Withstands severe winding and forming. Readily removed with solvents to ease forming of joints. ISOMID (polyester-enamel) Continuous formal film .012 -.025mm 60 kV/mm Moderate temperature rating; high chemical and solvent resistance. 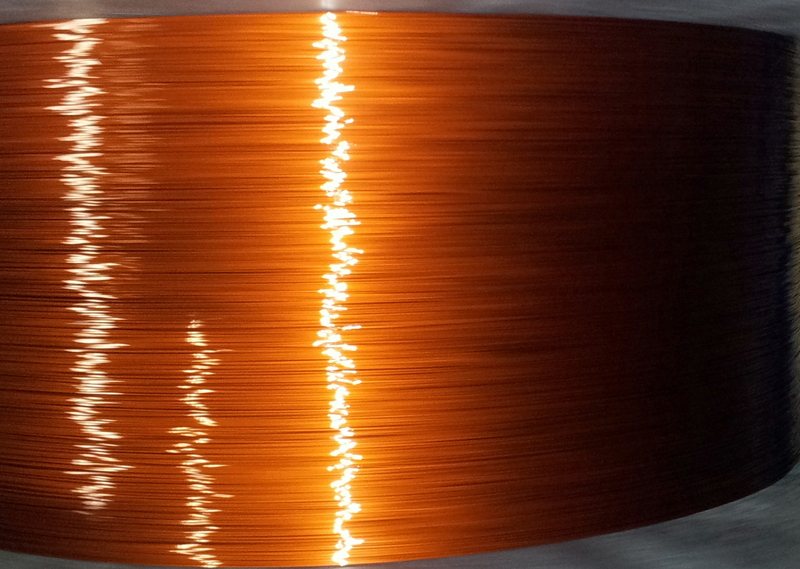 KAPTON (polyimide) Tape film wrapped spirally around the conductor; may be fused Variable depending on wrap and tape thickness .012 to .075mm typical 110-175 kV/mm Allows thicker layers for extra toughness and high reliability. Good radiation resistance. May be fused or sealed.